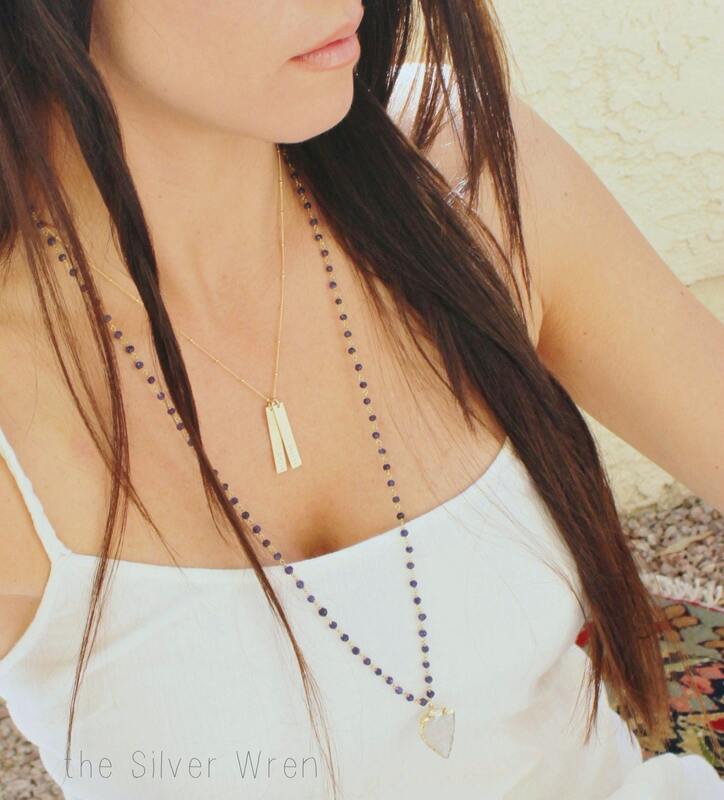 Classic and timeless our custom bar necklace is available in Silver, Rose or Gold options. 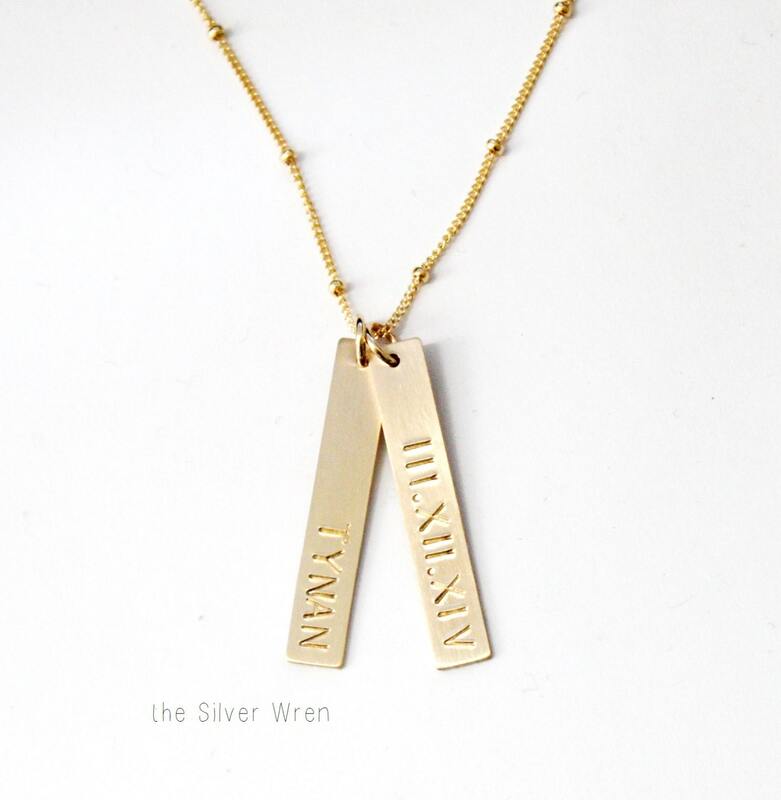 Wonderful for names, initials, special dates and roman numerals. -A high quality satellite chain with a spring clasp. 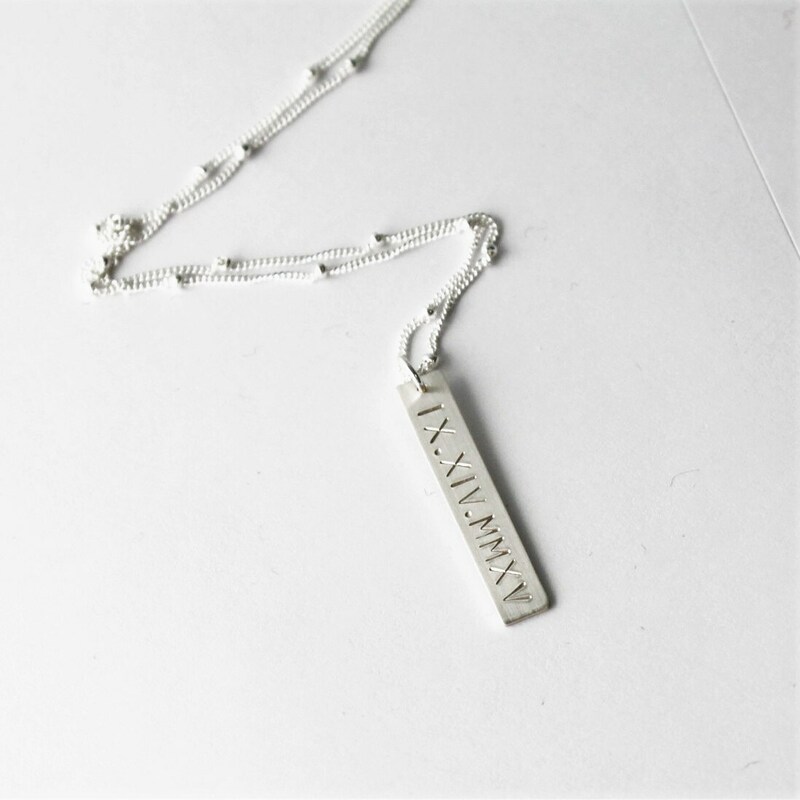 -Hand stamped with a name, date or roman numerals up to 11 characters on the bar. -One character can be a +, & or heart stamp. 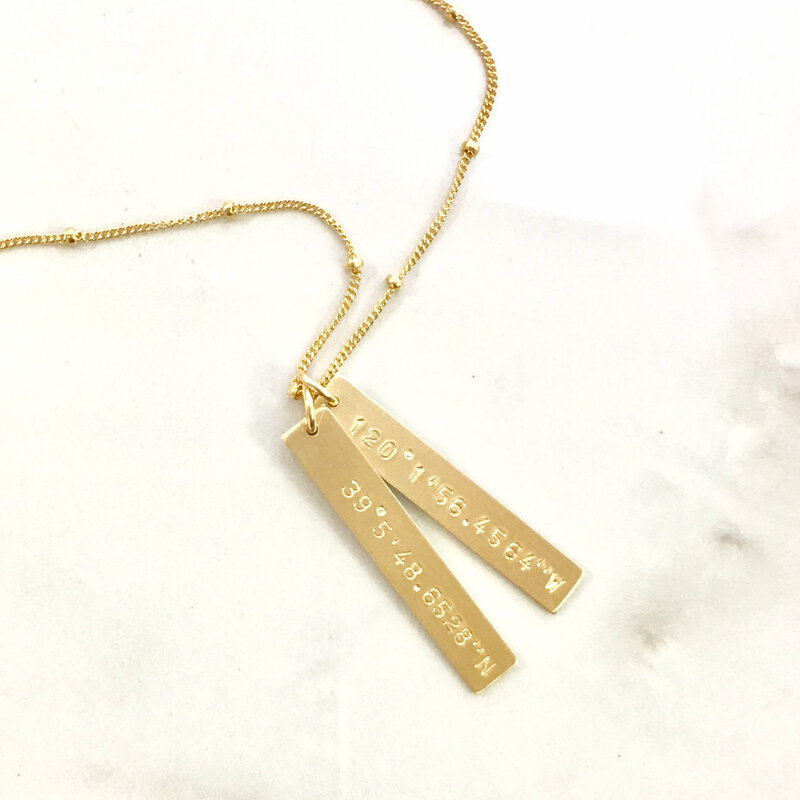 I ordered three of these necklaces for me and my friends, and they are so lovely! They are beautifully dainty and adorable. I got them quickly, and the team even included a sweet handwritten note. Would absolutely buy again! Love love love and thank you so much. 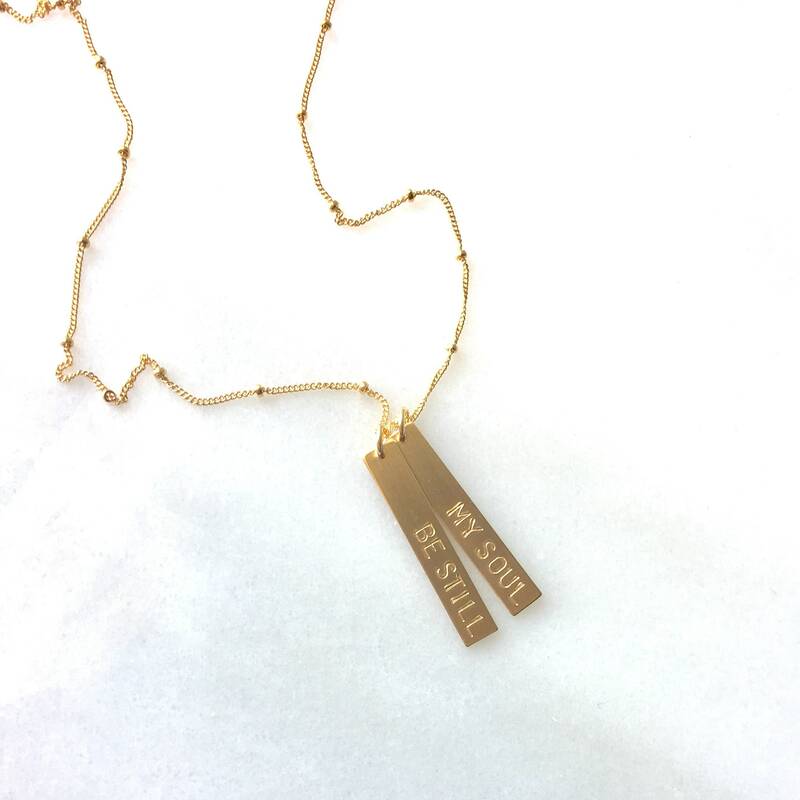 LOVE the necklace I purchased and customer service was excellent! Reordered! Customized it for me and I love it ! !